1. Neither of you look Belgian, so why Belgian Waffles? Lawrence: Growing up in LA, both of us were fortunate enough to be surrounded by amazing eateries inspired by cuisines from around the world. Naturally, when we ate our first Liege waffles (as compared to the Brussels waffle, which is commonly known as the "Belgian" waffle), we loved the natural sweetness of the waffle and how easy it was to eat without extra toppings. 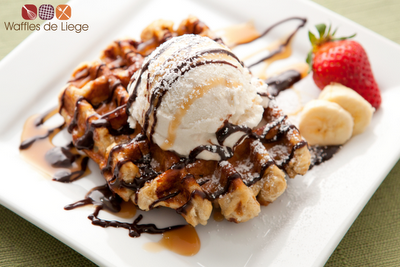 After witnessing the recent growth of specialty food trucks, we put the two together and founded Waffles de Liege. 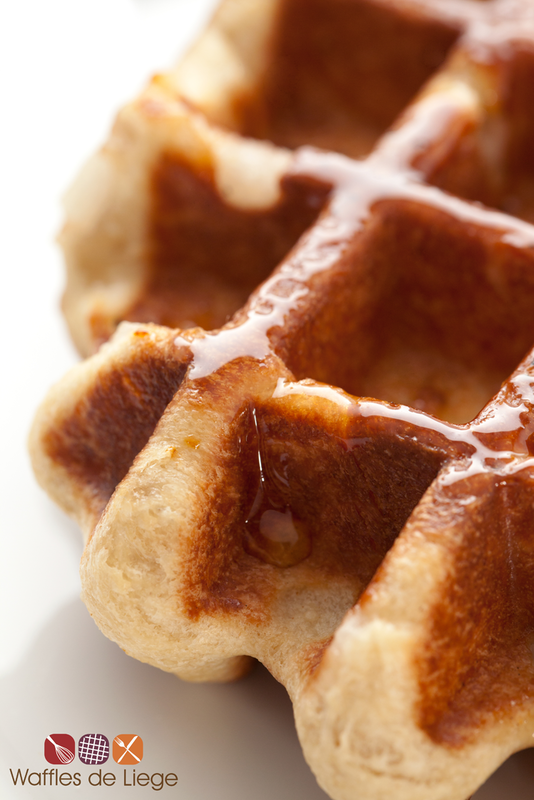 As non-Belgians, we were never discouraged by the idea of serving Liege waffles because it wasn't like we had never tried or heard of Liege waffles before. That didn't stop us from putting in a lot of time in the kitchen, both to perfect the recipe as well as the optimal baking time and temperature. Our liege waffles are so good, after your first bite, you're going to know exactly why we wanted to do this sort of food truck. 2. You're entering a crowded LA food truck scene. What will enable you guys to stick out and succeed? George: Being LA's first waffle truck definitely helps. 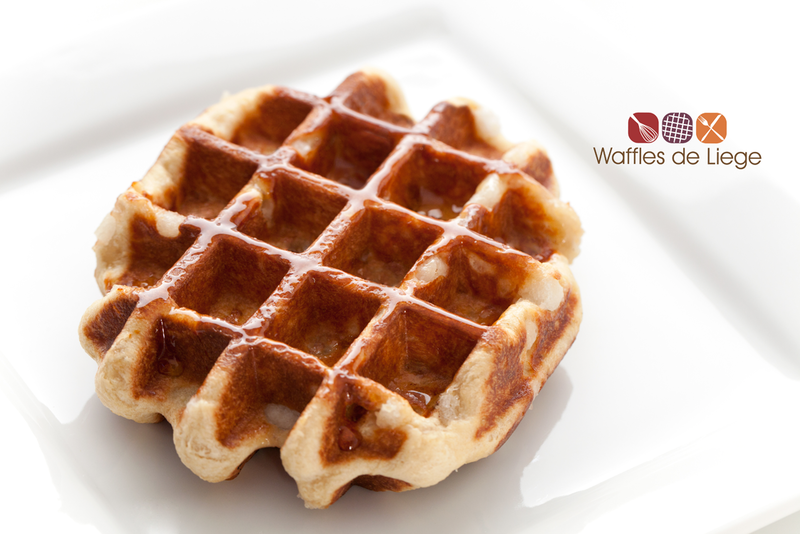 It's also easy to identify what we sell from our name and everyone loves waffles! This gives us a very unique opportunity to enter a crowded market with some momentum. Obviously we put a ton of effort and time into testing our waffles and making sure they're true to what we've read and researched. We also use all natural ingredients and never freeze our dough! At the end of the day our customers will be the ultimate measuring stick on how we're doing in terms of taste and quality. Great food aside, it's just as important to be a great company. It's extremely important to us for our customers to appreciate both our menu as well as our company values. We do our best to take care of details. We use all biodegradable disposables (utensils, plates, clamshells, etc), we purchase American every chance we get, we love supporting local businesses, and above all else, we strive to create an environment that fosters professional and personal growth amongst our employees. There's a lot of things we want to do and do well and it will take time, but that's what makes the whole venture so rewarding and exciting! 3. Have you guys tried NYC's popular Wafels and Dinges food truck? If so, what say ye? Lawrence: Unfortunately we have not but we'd love to try them. Their website was the first page opened when we began researching back in September. We've read a lot about them and love what they do. We respect and admire the loyal following they have created. Most importantly, they helped to give Liege Waffles a good name by defeating Bobby Flay on Food Network's "Throwdown!" 4. What stop locations do you guys plan on hitting up most? George: Nothing specific comes to mind but in LA county, we're going to try to be in the following cities/areas as much as possible: Downtown LA (Miracle Mile), Torrance, UCLA, USC, Hollywood, Echo Park, City of Industry, PasadeVenice, and Santa Monica. Once we get our OC health permit, we're going to visit my alma mater UCI, Fullerton, and Santa Ana. Aside from those planned locations, we also try to fulfill location requests. 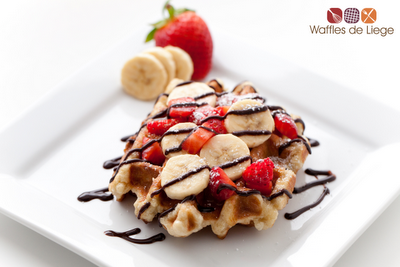 To hear that a community loves our waffles so much that they'd take the time to request us is very cool and humbling. 5. On a serious notes, have you ever met someone stupid enough to not like waffles? Lawrence: Well, we're firm believers that everyone has different tastes and we respect that. With that said, if there's anyone reading this blog who doesn't like waffles, make sure to come down to our truck and we guarantee that you'll absolutely love our waffles! Track Waffles de Liege's roaming location here. I am excited to try this truck. I LOVE LOVE LOVE liege waffles! I tried the waffle de liege with dutch chocolate ice cream. I must say it was the BEST ever waffle experience! I will definitely recommend and look for the next opportunity to buy another heavenly waffle, maybe with fresh fruit! Location: Los Alamitos, April 28, 2011. Thanks! Now a forever fan!! "BEST ever waffle experience?" Those are mighty words.